BodyCraft R25 Semi-Recumbent Exercise Bike is a small semi-recumbent bike. It is small and amazing commercial quality exercise bike . Its 5 Inch Pedal Spacing provides swiftness to your workout. It has some great features like easy to use, 12 Preset Programs, Manual operation, two-color display which provides 3 Heart Rate Controlled Programs (Chest telemetry strap included), and 4 Memory Banks so you can custom-design your own workouts.It is adjustable to fit almost every size user, yet only 48 inches long. Built for home and commercial use. *Note: Most of the sites, stores or shopping portals listed above sell BodyCraft R25 Semi-Recumbent Exercise Bike with discounts and other exciting offers. 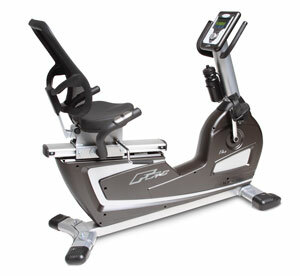 There is a possibility that the some of above websites are not selling BodyCraft R25 Semi-Recumbent Exercise Bike now. Toughtrain.com is not liable for such cases or instances. Also we do not recommend any seller for BodyCraft R25 Semi-Recumbent Exercise Bike and a buyer should buy from where he/she gets best deal with quality of products, service and on time delivery (shipment).